Haha I love this (because it's true). I did the "zombie march" while putting up our ONE tree. Ten? Wow. Yup, my WIP is at that point. 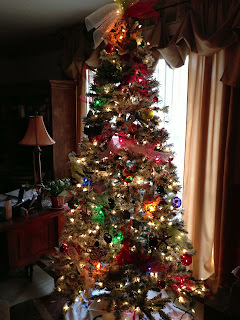 Thanks for the analogy - after Christmas, I'll turn those literary twinkle lights on! We have a little Charlie Brown tree we always put up somewhere in the house along with our other decorations. Love that you have so many trees! I love all of the trees! How beautiful and festive is that? As for my MS, I haven't even gotten close to the squint test yet... still wrapping it with tinsel, but I know I'll get close to flipping the switch over the holidays! And I hope you can squint at it and tell me if it's crooked. Oh my I am still stuck on the eleven Christmas Trees! I can barely get one decorated. I also like your analogy! Great posting and Happy Monday! Think it's passed the squint test. We have two trees at our house. I think my husband would kill me if we had more than that. Excellent analogy. But, wow, I'm a little tired after decorating 1 tree yesterday! We get very into Christmas, too, but more with activities and music and church than with decorations, I guess. :) I have more energy when it comes to writing than decorating! Critique partners can help with the squinting as well. I love your comparison about building a Christmas tree and structuring a novel. Very, very true. My 18 month old decided to put the "shatter proof" ornaments to the test. They passed... but not before spreading their glitter all over the entire house. Now all ornaments on the tree are at least four feet from the floor. It's unique if nothing else. Definitely wouldn't pass a squint test, though. My analogy for our tree: You've written a comprehensive synopsis, then converted exactly HALF of it into a written book. Love your comparison. We flipped our switch yesterday. 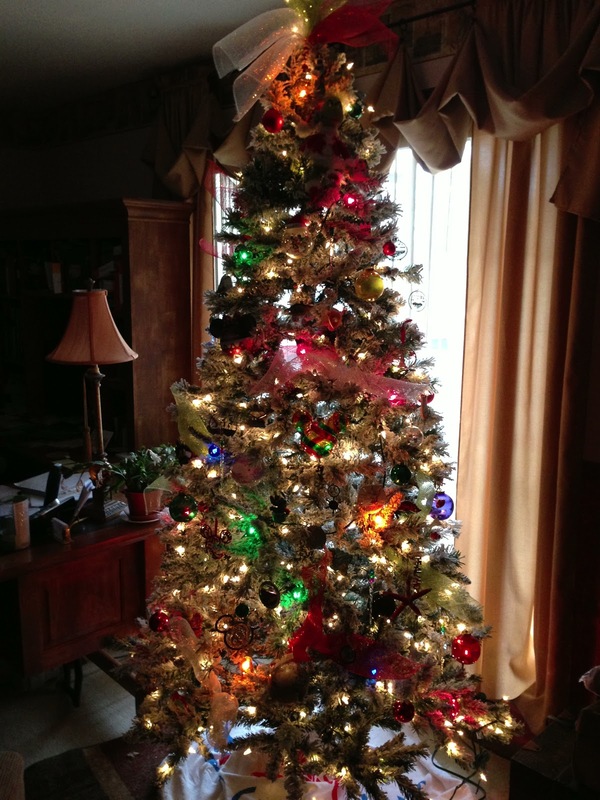 For me, there is nothing like being the first one up in the early morning and turning on just the tree. I can stare at it with my cup of coffee and just enjoy it. I don't know if I could handle numerous trees. Great job on this post, DL. We're barely able to get one tree up and decorated before Christmas. Ours only had lights on it for a solid week. My novel is sort of like that - half done. It's a good day to work on finishing it. Great analogy! I'm putting the finishing bits of tinsel on my manuscript right now. I love Christmas trees too. Ours goes up the Saturday after Thanksgiving. As for the analogy,it can also be applied to the finished product...some people hate fake; some hate real; some like white lights; some colored...there are all sorts of trees to suit all sorts of people. What one thinks is perfect, another sees flaws. Great analogy. Plus, I can't wait to tell my husband that I found someone who has more than our three trees, which he thinks I'm a little crazy for wanting. LOL. I really enjoyed this analogy, DL. Thanks for always sharing such wonderful posts. Merry Christmas to you and your family! 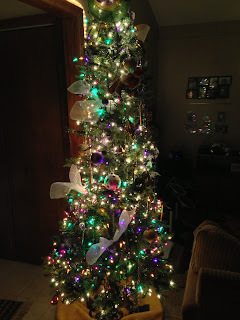 Love your Christmas trees and your comparison to writing. So true! So I'm looking at my Christmas tree right now, squinting and I think it needs more....of everything, lol! Based on my love of Charlie Brown, I have to go with the skinny tree.